You'll know you're getting a Patek, not a potato. eBay's Authenticate program now covers more than high-style handbags. The online shopping giant now verifies the authenticity of luxury watch sales from more than 30 luxury brands, including Audemars Piguet, Breitling, Patek Philippe and Rolex. Sellers who pass muster will receive an "authenticity verified" badge that makes clear the watches they sell are the real deal. That's rather important when watches like Audemars' Royal Oak or Patek's Nautilus can easily cost tens of thousands of dollars. 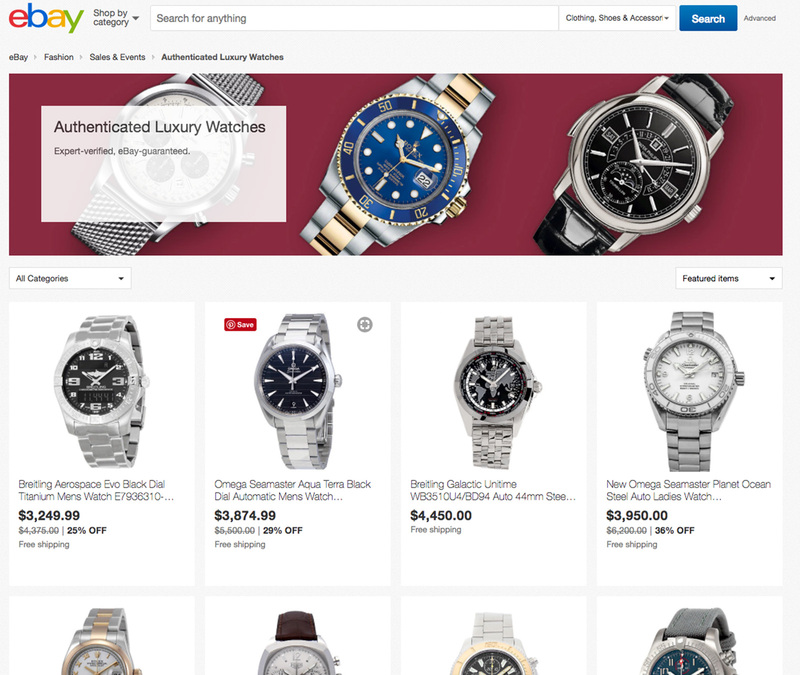 The initial selection will include roughly 7,000 new and used watches (up to 10,000 in the weeks ahead) ranging from $500 to nearly $50,000, and will come through a handful of "top-rated" eBay sellers. The company hasn't outlined the costs for merchants, but its handbag program carries a 20 percent fee. A watch-oriented program was arguably overdue. Watches represent one of eBay's best-selling categories (someone buys a watch every five seconds, the company said), and counterfeits are a very real possibility -- just ask anyone who has bought a knock-off Rolex at a street corner. If eBay didn't act, it could deter watch enthusiasts who'd either turn to specialist websites or stick to in-person sales. This won't preclude unverified sales, but it will reassure those willing to pay a premium to have a coveted watch on their wrist.